This Palak Paneer is very simple and without onions. Very quick. hardly take 10 minute to cook. 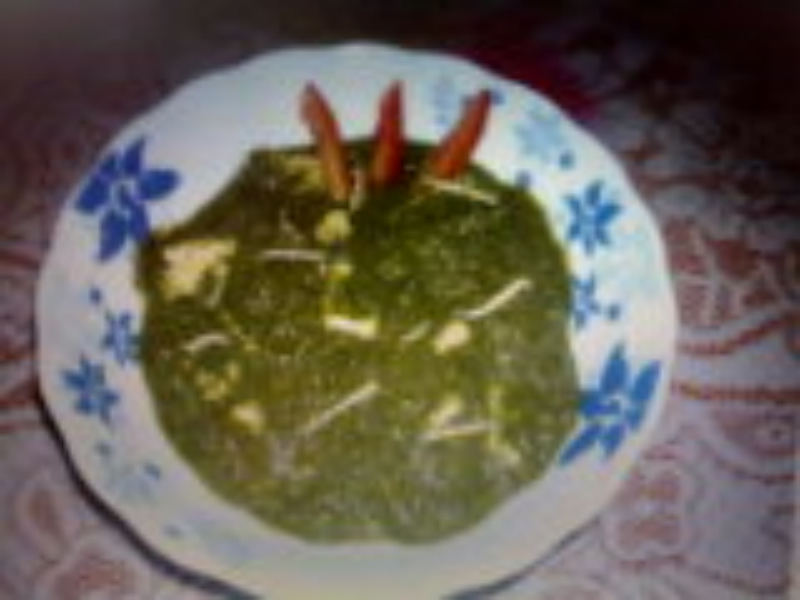 Cook Palak (Spinach) for one whistle in a pressure cooker. Make a fine paste adding chopped green chillies. Put jeera powder and hing. Then add ginger and garlic paste. saute for 2 minutes. Add Coriander and garam masala powder. saute for another 2 minutes till oil leaves the masala. Now add Paneer and spinach paste and cook for 3 minutes. Add salt and lemon juice and water if curry is too thick. This turned out good. Thanks Harsh. Nice vegetable.But I think if onion paste is added it will be more tasty.Sorry but this is my suggestion. very nice n easy making reciepe.